This is a complete guide on how to calculate ﻿Debt Service Coverage (DSCR) ratio with thorough interpretation, analysis, and example. You will learn how to use its formula to examine a business debt settlement capacity. 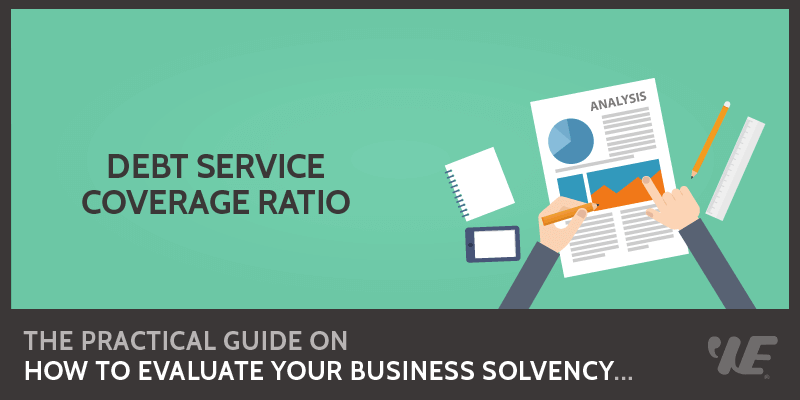 Definition - What is Debt Service Coverage Ratio? When you want to investigate the solvency of a company you’re considering as an investment, that company’s ability to support its debt payments becomes a crucial consideration. The debt service coverage ratio is one of the calculations you can use to measure a firm’s debt-paying ability, by comparing its net earnings with the amount of its loan and interest payments. So ​what is the meaning of debt service ratio? In short, this financial ratio allows you to determine whether the business you’re considering is generating enough income to cover its debts. If a company’s DSCR is less than 1, there’s a strong likelihood that the firm will be unable to meet all of its loan obligations. But when the ratio value is greater than 1, it tells you that cash flow from the company’s net income is more than sufficient to service the firm’s current debt load. Because the debt service ratio looks at all of the costs associated with a firm’s ﻿﻿outstanding debt, rather than just at the outstanding amount of the debt itself, it provides you with information about a company’s debt-servicing ability that’s much more precise than what you could glean from its debt ratio alone. This is an ultimate guide on how to calculate Financial Leverage Index with detailed analysis, interpretation, and example. You will learn how to use its formula to examine a company's capital structure. Definition - What is Financial Leverage Index? Financial Leverage Index is a solvency ratio that can help us find out how well a company is using leverage to increase return on its equity. It basically tells us how effective the firm is in using leverage in its capital structure. To understand this ratio, we need to understand how leverage affects return on equity for a firm. To explain this concept, let us talk about a slightly different scenario. Let us assume that you have to purchase a house worth $1,000 which you intend to rent out. The after-tax cash benefit you will receive through rent is $100. So you get 10% return on your equity ($100 / $1,000). Now assume that your friend loans you $800 and the interest that you have to pay him amounts to $40. So you need to put in only $200 from your pocket. Your income comes down by $40 (as you pay interest on the loan you get from your friend) to $60. Now your return on equity becomes 30% ($60 / $200). So you see that you were able to use leverage as a ‘lever’ to increase the return on equity from 10% to 30%. That is exactly how leverage helps a firm increase return on shareholder’s equity. This is an advanced﻿﻿ guide on how to calculate ﻿Debt to Asset (D/A) ratio with detailed analysis, interpretation, and example. You will learn how to use this ratio's formula to assess an organization's debt repayment capacity. 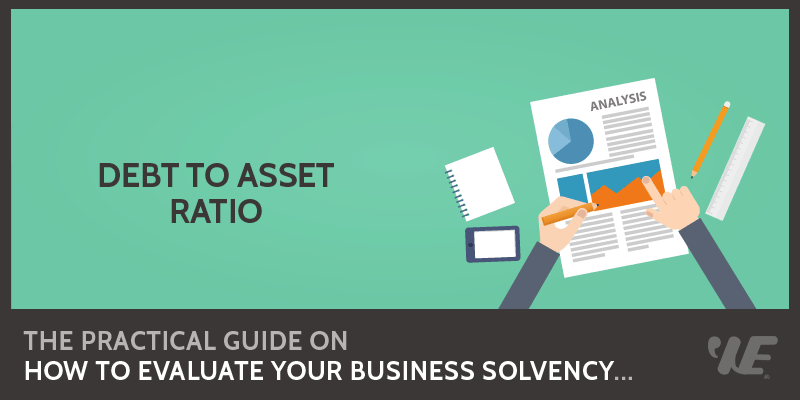 The debt to asset ratio, also known as the debt ratio, is a financial calculation that allows you to evaluate a company’s leverage situation. This is accomplished by measuring the percentage of a firm’s assets that are funded by creditors, rather than by investors. When you want to examine a company as a potential investment, the debt to assets ratio offers a clear picture of just how much of that company’s resources are derived from borrowing money, and how much can be attributed to investor equity. This is an important piece of information to understand, because you’ll want to feel confident that a business is capable of meeting its debt obligations, while still being in a position to offer a decent return on investment to its shareholders. The more of a company’s assets that are funded by creditors, the higher the firm’s debt load becomes. The more debt a business accumulates, the riskier an investment it represents, since it may eventually find itself in the unfortunate position of being unable to repay its loans. This is a complete guide on how to calculate Cash Debt Coverage Ratio with in-depth analysis, example, and interpretation. You will learn how to use its formula to examine a company’s ability to service its debt. Definition - What is Cash Debt Coverage Ratio? The Cash Debt Coverage Ratio, or the cash flow to debt ratio, looks at the relationship between the operating cash flow of a company to its total liabilities and implies what the actual ability of the business to pay back its debt from its operations is. This liquidity ratio is generally regarded as being better when it is high (over 1.0) or at an ideal level of 1:1.This would be seen as very comfortable as it suggests the company has a strong capability of paying off its total debt using the cash flow from its operations. And this serves as a positive indicator for both investors and creditors. A cash debt coverage ratio below 1.0 or close to 0 on the other hand, would serve as a strong warning that the financial condition of the company is bleak.